At the New Zealand National Science Fiction and Fantasy Convention on Easter weekend, I was lucky to be able to pre-launch Children of Arkadia along with several other awesome local authors. 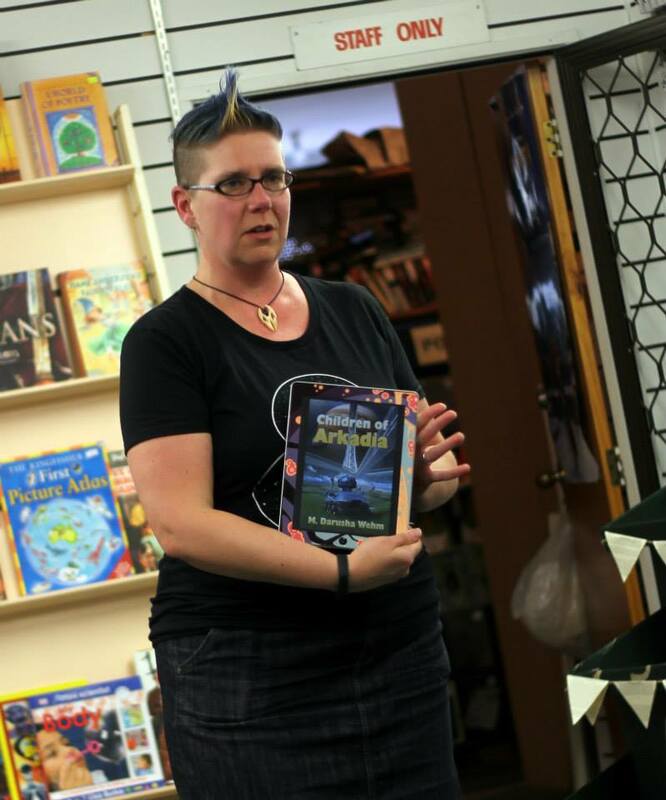 We were welcomed by local Rotorua bookshop Atlantis Books, and after a great Q and A with the con’s Guests of Honour Gail Carriger, Phillippa Ballantine and Tee Morris, we read a little from our books for the generous crowd. First up was Debbie Cowens, with her Sherlock Holmes/Jane Austen mashup, Murder & Matchmaking. It was a great evening and I’m especially grateful to the folks at Atlantis Books for being so welcoming and genuinely excited about all our books. They were awesome! If you’re ever in Rotorua, go check them out. It’s a beautiful shop!